The office of the National Commission on Muslim Filipinos in General Santos City through its Provincial Director Atty. 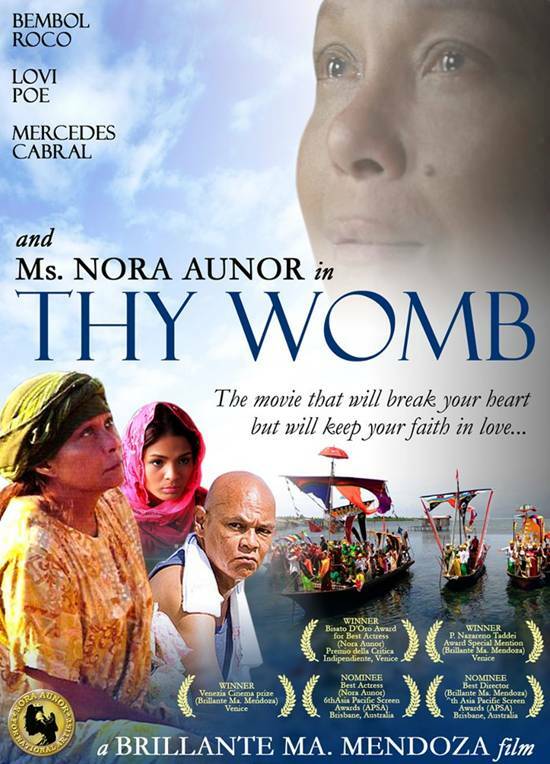 Guialil R. Kanda urged the Muslim communities in the region to support and watch the movie THY WOMB which stars Nora Aunor as a Badjao midwife in Tawi-Tawi. In his letter of endorsement, Atty. Kanda saw Thy Womb as being "a good vehicle in communicating interfaith and ecumenical spirit of respect and understanding for other people's beliefs ". Read below the full letter of endorsement. Directed by award-winning director Brillante Mendoza and also stars Lovi Poe, Bembol Roco and Mercedes Cabral, Thy Womb is last year's most internationally acclaimed Filipino film by bringing home awards from some of the world's top film festivals and recently, major awards in the Metro Manila Film Festival 2012 including the Best Actress Award for Nora Aunor. In General Santos City, THY WOMB is being shown at Robinsons Movieworld Gensan Cinema 4 and at Cinema 4 of SM City General Santos.